eoe Online at www.eoe.com.my is an online photo portal filled with lots of fun and excitement for users. Other than a wide range of photographic products available for online shopping, users are also able to order for prints online instantly and conveniently. While you are browsing through the range of products we have from digital cameras to accessories, you can also enjoy the many activities we have prepared for users of the site including photo competition, photo gallery, photo dedication, wallpaper download, and loads of articles on photography! 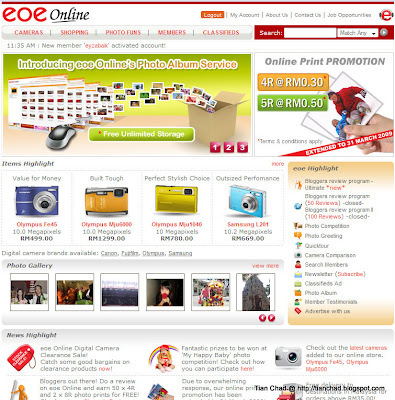 Other than the convenience offered by the eoe Online portal, we also have more than 25 physical outlets conveniently serving our customers mainly in the Klang Valley at high people traffic locations such as Tesco hypermarts, Jusco departmental stores and major shopping malls such as 1 Utama, SACC Mall and KL Sentral. If you want to know where we are located please click on Store Locations. eoe Online hopes to break the image as a traditional photo retailer and aims to be a lifestyle digital imaging hub to fulfill the needs of today’s consumers who are always looking for something new. 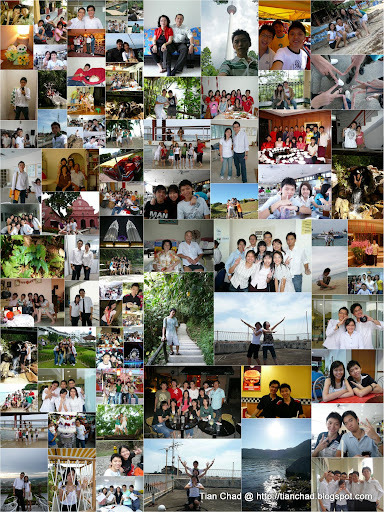 This time my photo will be printed for free! Why? Because of the Blogger's Review Program! 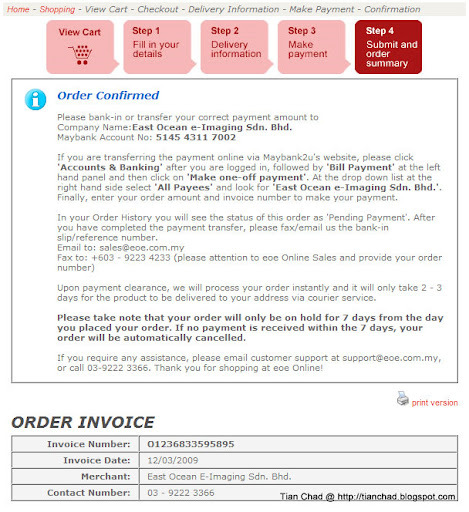 Now there is also promotion for printing 4R at RM 0.30 and 5R at RM 0.50 which extended to 31th of March, 2009. You can also buy camera from their website. There are many kinds of payment method available, so no need to worry about any hustle. I have missed two Blogger's Review Program which gave us a chance to win DSLR. So blogger out there, do you want to have your photo printed for free?? Please do visit www.eoe.com.my and Blogger's Review Program!